There are no right or wrong ways to live your Life. Live it your way. After all, it’s your Life! What caught my attention over veteran Hindi actor Sadhana’s passing on Christmas day was that she died alone in a hospital in Mahim, Mumbai – losing her battle with an undisclosed ailment. 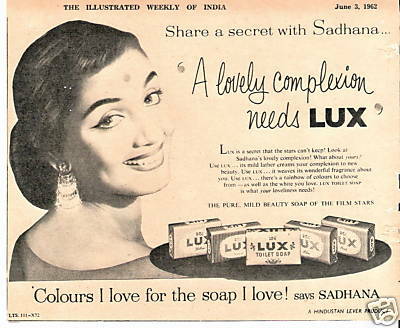 Her close friend and actor Tabassum told The Indian Express’ Sonup Sahadevan that Sadhana, 74, was “very ill and very sad”. Sadhana’s husband R.K.Nayyar had died in 1995 – the couple had no children. Sadhana apparently had no relatives and was also embroiled in a bitter legal case over the house she was living in as a tenant in Khar. Her eyesight in recent years had been affected by hyperthyroidism. Now, here was a woman who was the heartthrob of millions in India all through the 1960s and much of the 1970s – her famous films included Mera Saaya (1966), Woh Kaun Thi (1964), Gaban (1966), Mere Mehboob (1963), Ek Musafir Ek Hasina (1962), Hum Dono (1961), Rajkumar (1964), Waqt(1965), and Ek Phool Do Mali (1969). She was considered a style diva and her hairstyle, that was aped by many, was popularly called the ‘Sadhana Cut’. Did such a memorable icon deserve such a forgettable end? This is one question that some of the people writing, commenting, opinionating on Sadhana’s Life and times, have asked over the last couple of days. Interesting question. In trying to answer it, we must consider that Life is all about the choices we make. And we must remember that Life’s basic principle is impermanency. Nothing is permanent. What goes up, comes down. What goes down, comes right back up. So, fame, fortune, friends and family – everyone and everything, will, at some point, fade away. The choice to live your Life alone is entirely yours. The choice to perhaps fight a court battle – or whatever – is entirely yours. The choice to be sad is entirely yours. Just as the choice to be among people you know, to not fight a court battle and to be happy is entirely yours! I am not here pontificating whether Sadhana made the right choices in her Life. I am only saying that her choice to do what she did was purely her own. Just as it is with each of us in the context of our Life’s stories. Osho, the Master, has explained a simple, practical, way of making decisions and choices in Life. He says, when decisions come from your head – from the way you are thinking; emotionally, rationally, whatever – you will often not enjoy the outcome of your decisions. He says you may even suffer from your choices. But when your decisions come from your being, he says, when they come from who you really are, then no matter what the decision is or what outcomes follow, you will be at peace. So, who are we to judge how Sadhana made her decisions, her Life choices? Maybe she was at peace living alone and fighting her court battles, even as she battled failing health. Maybe, if Tabassum’s perspective is brought into focus, she was not. In fact, with Sadhana gone, it does not even matter now. Even so, there’s a learning here for all of us. Our lives are flowing in the direction created by the choices we have made. And, as I see it, there are no right or wrong choices. A decision is a decision. A choice is a choice. And each choice leads you through an experience that you again learn from. This is how Life flows…and flows….until it ends…possibly when it merges again with the source?